Israel has inaugurated its fifth Dolphin-class submarine, allegedly capable of launching cruise missiles with nuclear warheads. A German shipyard in Kiel has a contract to build a sixth sub “to ensure the security of Israel’s citizens,” the PM said. The submarine has been baptized INS Rahav. Rahav is a demon, a cosmic sea monster, ‘Prince of the Sea’ according to the Talmud. It was also the name of a strange woman from Jericho who hid two Jewish scouts from the King of Jericho in the Book of Joshua, Old Testament. After the submarine is fully equipped and passes all tests, it will cost $500 million and will enter service as possibly the most sophisticated and expensive weapon of Israeli Navy. Delivery to client is reportedly expected by the end of 2013. The INS Rahav was built in northern Germany at the Howaldtswerke-Deutsche Werft shipyard in Kiel. She is believed to be one of the most advanced and sophisticated diesel-electric submarines in the world. 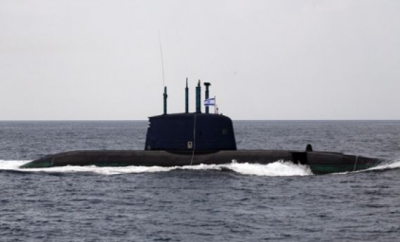 “The INS Rahav is one of the most advanced submarines in the world,” said Israeli Defense Ministry in a statement on Monday, reported Jerusalem Post. “It is a versatile platform which can adapt to many and varied missions. The fleet of submarines forms a long arm for the [Israel] Navy, the IDF, and the State of Israel,” the ministry said. The inauguration ceremony has been attended by an Israeli delegation headed by the director-general of Israel’s Ministry of Military Affairs, Major General Udi Shani, the commander of the Israeli Navy, Rear Admiral Ram Rothberg, and a number of Israeli and German officials. In June 2012, Der Spiegel reported that Germany is actually strengthening Israel’s nuclear capabilities. The magazine claimed that Dolphin-class submarines are equipped with hydraulic ejection systems that enable the underwater launch of Israeli Popeye Turbo SLCM long-range cruise missiles, believed to have nuclear warheads. Israel’s Popeye cruise missile is believed to have a range of up to 1500km and carry a 200kg payload, enough to fit in a nuclear warhead. The first launch of the missile was carried out in 2002 in the Indian Ocean. Thus the German-built submarines are believed to be the backbone of the Israeli nuclear deterrent against Iran. 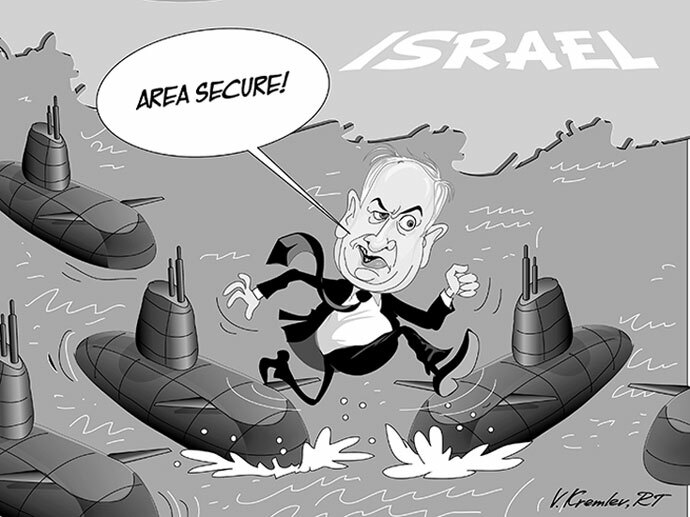 “The submarines are a strong, strategic tool for the IDF. The State of Israel is ready to act anytime, anywhere – on land, sea and air – in order to ensure the security of Israel’s citizens,” Israeli PM Benjamin Netanyahu said according to Associated Press. Israel’s coastline in total, including islands, is a mere 273km, and it is no exaggeration to say that there is no other country with so many submarines to protect so short a sea border. Germany started to deliver its Type 800 Dolphin-class submarines to Israel after the first Persian Gulf War. 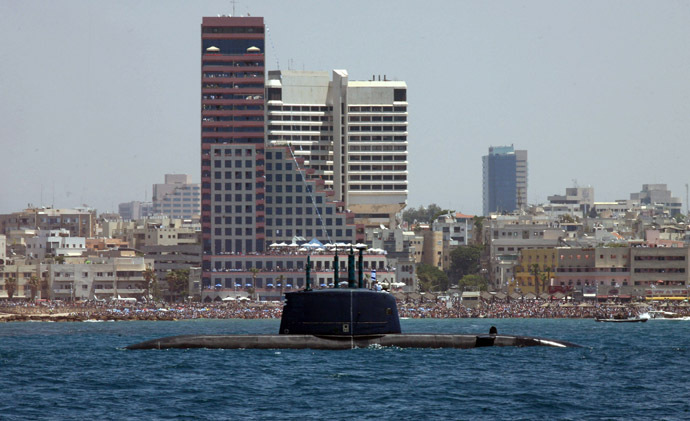 The first two submarines were donated to Tel Aviv for free while the third came with a 50-per-cent discount, informs International Defense News. Berlin also shared about a third of the costs for the fourth and fifth submarines. 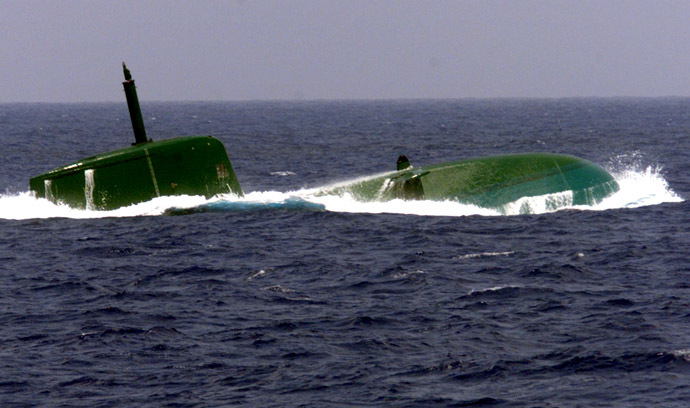 The fourth, the INS Tannin, opened the new generation of Dolphin II class submarines, capable of remaining submerged for long periods using cutting edge ‘air independent propulsion’ technology, which allows the engines of diesel-electric submarines to run without atmospheric oxygen. In March 2012 Israel and Germany signed a contract for a sixth and the last Dolphin-II class submarine that will be delivered in several years. Berlin allocated about 135 million euro (US $175.8 million) of the overall 600-million-euro cost of the sub. 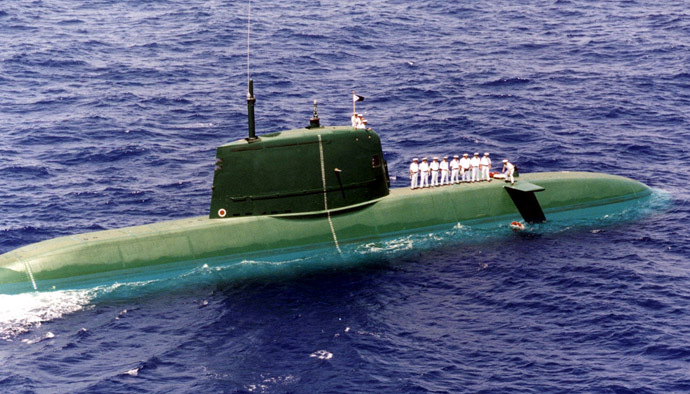 In December 2011 Jerusalem Post reported that Israel invested about $27 million in a comprehensive structural overhaul and upgrade of the Dolphine I submarines at a shipyard in Haifa. The Germans can be proud to have secured the existence of Israel for many years,” Israeli Defense Minister Ehud Barak told Der Spiegel in June 2012. According to Barak, the INS Tannin delivered May 3, 2012, became yet another “force multiplier in terms of the capabilities and strength of Israel’s defense forces. The “force multiplier” and “fighting arm” remarks of Israeli officials might as well point out that the alleged nuclear missiles in the possession of the state of Israel could be regarded not only as a shield, but as a sword as well. Officially, Germany has always maintained that it doesn’t have a slightest idea about Israel’s military nuclear program and possible deployment of nuclear missiles on German-built submarines. However, according to Der Spiegel’s research, several former high-ranking German officials have never doubted Israel was putting nuclear missiles on its subs. Former German State Secretary Lothar Ruhl told Der Spiegel last June that he had not only “always assumed that Israel would deploy nuclear weapons on the submarines,” but also discussed the issue with the Israeli military. According to documents obtained by the newspaper, the German government was well aware of Israel’s nuclear program as early as in 1961. The latest evidence from German Foreign Ministry archives presented by the magazine last year dates back to 1977 and corresponds to a discussion on the nuclear issue between then-Israeli Foreign Minister Moshe Dayan and then-German Chancellor Helmut Schmidt. British MP and Vice-chairman of the Campaign for Nuclear Disarmament Jeremy Corbyn very much doubts that anyone who is willing to help Israel boost its nuclear capabilities is interested in reducing the risk of a nuclear catastrophe. He doubts that the supplies are even necessary. “It’s very hard to see how these submarines that Germany is supplying to Israel can be solely for defensive purposes, because there is no sea-based threat to Israel and Israel needs to get on board with the rest of the region and talk peace and talk about the signature they’ve already given to the Mediterranean weapons of Mass Destruction free zone. The delivery of these submarines is yet one more ratcheting up of the danger”, he told RT. Corbyn further believes that the weapons supplies are a badly concealed preamble to a wider European involvement in the world’s hottest crisis zones. Germany prides itself as a signatory to the nuclear Non-Proliferation Treaty and on its non-nuclear status… But they’re also paying a very large amount of money to Israel’s defense costs by subsidizing the development and delivery of these submarines, and one just wonders if this isn’t part of a wider European military involvement in North Africa and the Middle East region. Israel has never signed the Nuclear Non-Proliferation Treaty, despite continuing international pressure, claiming it would be against its national security interests. Though Israel is not officially recognized as a nuclear weapons state, it is believed to possess several hundred operational nuclear devices.